And it betrayed us in return! Opera South East is delighted to introduce to Hastings audiences the exciting young Australian soprano, Kristy Swift, who will be performing the role of Tatiana. 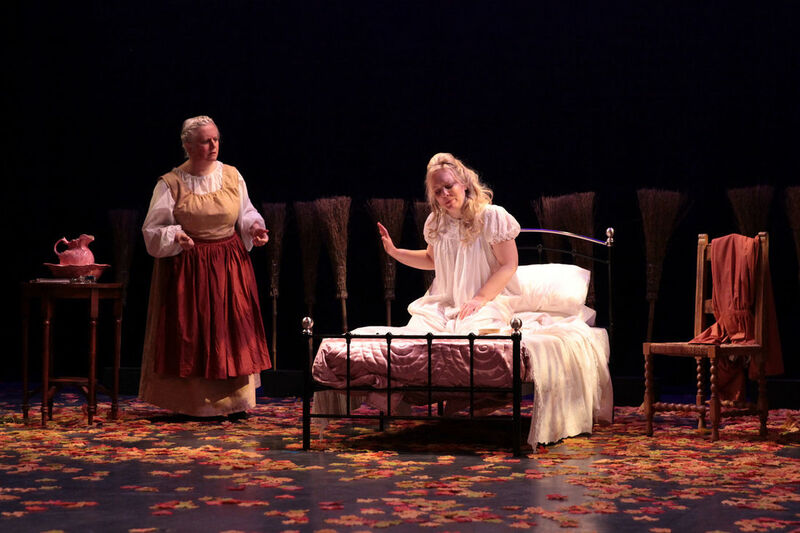 Brian Kellow, Opera News, said of one of her recent performances “Swift gave what seemed to me a perfect performance... She pulled off one of the most difficult things to do on an opera stage: there seemed to be no artifice to her acting at all. Nothing was ever overstressed: she simply was.” She will be joined by Rene Bloice-Sanders in the title role of Onegin, with Jonathan Cooke and Felicity Buckland in the roles of Lenski and Olga. Kristy will be joined by her fellow countrymen, Jeremy Vinogradov and David Woloszko who will be performing the roles of M Triquet and Prince Gremin respectively. Directed by Fraser Grant, and Conducted by Kenneth Roberts, who was in at the very start, and has not missed one production in all these years; he will be joined by the Sussex Concert Orchestra, in the pit for this wonderful feast of music and drama. You'll be sitting on the edge of your seats throughout! Tickets from the White Rock Theatre at £21, £17 and £13. Groups of 8 or more: £3.50 off top price tickets. White Rock Friends: £3.50 off. Ask for one free under 16-year-old ticket with every adult ticket brought. 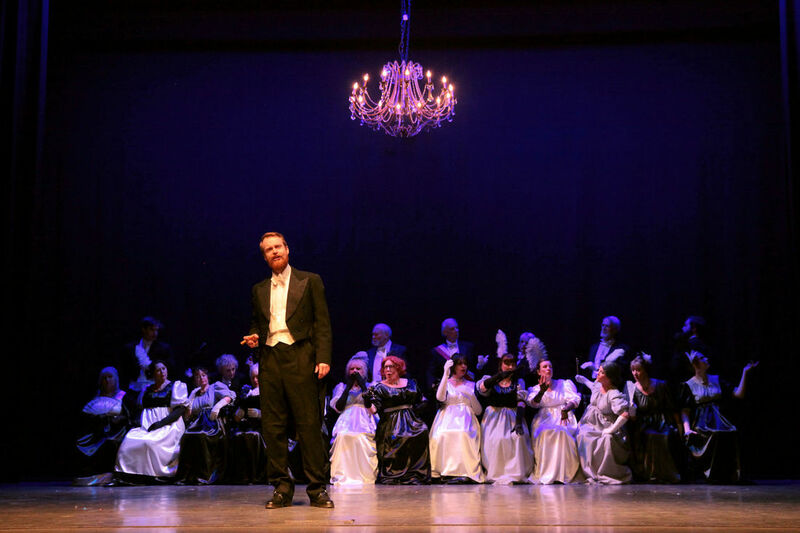 Opera South East welcomes Fraser Grant back again to direct this April's production of Tchaikovsky’s, Eugene Onegin. You will be enchanted by his interpretation in bringing Tchaikovsky's musical moods—tender, grand, and melancholy— being given free rein. The opera, based on Pushkin’s iconic verse novel, is the story of Onegin, the definitive romantic Russian aristocrat caught between convention and boredom, and the young Tatiana, who grows from sentimental adolescent into sophisticated woman. ​Tchaikovsky gives voice to the casualties of love, the victims in the battle between raw emotion and social convention. This exciting new production from director Fraser Grant sees the action set in 1820 in rural Russia moving forward to the glittering imperial aristocracy of St. Petersburg nearly a decade later. Fully costumed in the period in which it was set this will be a feast for the eyes. 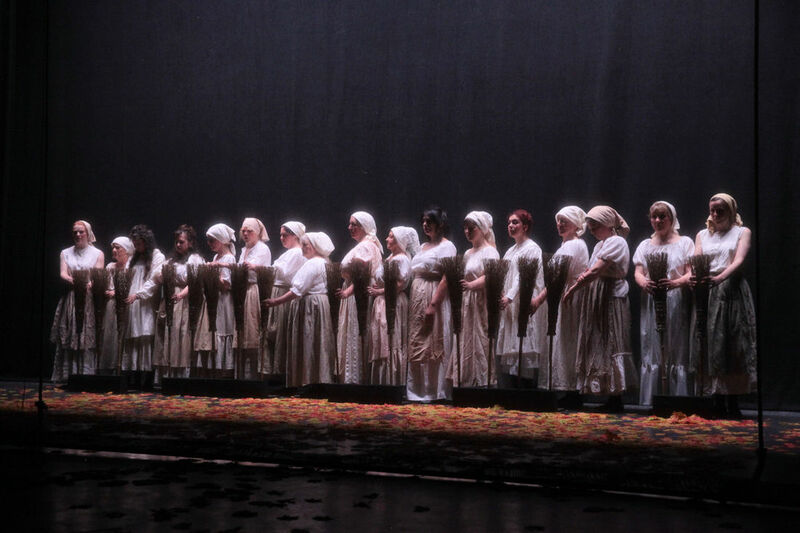 This year marks the thirty-fifth anniversary that Opera South East, then known as Hastings Opera, first performed at the White Rock Theatre, Hastings, with a production of Bizet's Carmen in September of 1983. Conducted by Kenneth Roberts, who was in at the very start of OSE, and has not missed one production in all these years; he will be joined by the Sussex Concert Orchestra, in the pit for this wonderful feast of music and drama. ​ 'It's just like Glyndbourne and only 20 quid'! Mezzo soprano Jenny Samuel lives in Hampshire and studied at Birmingham Conservatoire, and she recently gained a distinction for a Masters of Music in performance at the University of Southampton. Jenny has sung with English Touring Opera, Buxton Festival Opera, Swansea City Opera, London Opera Players, English National Opera, Carl Rosa Opera, Pavilion Opera, European Chamber Opera, Vox Lirika, International Gilbert and Sullivan Festival and at the Spoleto Festival, Italy. Recent roles have included the First Lady in The Magic Flute for Mid Wales Opera, Leonore (Marzelline) for Buxton Festival, Despina in Così fan tutte for London's Opera Lyrica, Naiad in Ariadne auf Naxos, Frasquita in Carmen, Yum-Yum in Mikado for Opera Queensland, Paquette in Candide for both MDR Orch, Leipzig Gewandhaus and for the London Symphony Orchestra at the Barbican Centre. Felicity trained at the RNCM where she was awarded the Eunice Pettigrew Prize, and later on ENO’s Opera Works programme. She studies privately with Mary Plazas. 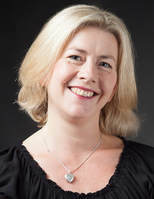 Karen is a regular soloist and chorus member of Opera South East. Operatic roles include Azucena ‘Il Trovatore’, Suzuki ‘Madame Butterfly’, Zita ‘Gianni Schicchi’, Prince Orlofsky ‘Die Fledermaus’, Carmen ‘Carmen’ and most of the contralto roles in G&S operettas including Katya in the recent world premiere of ‘Harrogate or Bust’ at Harrogate International G&S festival, as Arnalta ‘L’incoronazione di Poppea’ and made her Glyndebourne debut in 2013 as Elizabeth Taylor in the world premiere of ‘Imago’ by Orlando Gough and Stephen Plaice. She has directed productions for OSE including ‘Orpheus and Eurydice’ and assisted with ‘Carmen’, ‘Merry Widow’ and ‘La Boheme’. Having performed the opening scene twice in Russian at AIMS Summer Schools she is delighted to be giving her full Filipevna for OSE! Born and raised in Cheshire, Jonathan now enjoys a varied singing career both in England and abroad. He studied singing at the Royal Conservatoire of Scotland, completing his Masters in 2015. As an undergraduate student, he represented the college in the Junior Kathleen Ferrier competition. He was runner up in the Hugh S Roberton Prize for Scots Song, and winner of the Frank Spedding Lieder Prize. Jonathan performed in many productions with Scottish Opera and has sung with Garsington, Grange Park, Longborough Festival Opera, Fulham Opera and Mid Opera Wales, amongst others. Operatic rôles whilst at college include Ruggero La Rondine and Le Mari in Poulenc’s les Mamelles de Tiresias. 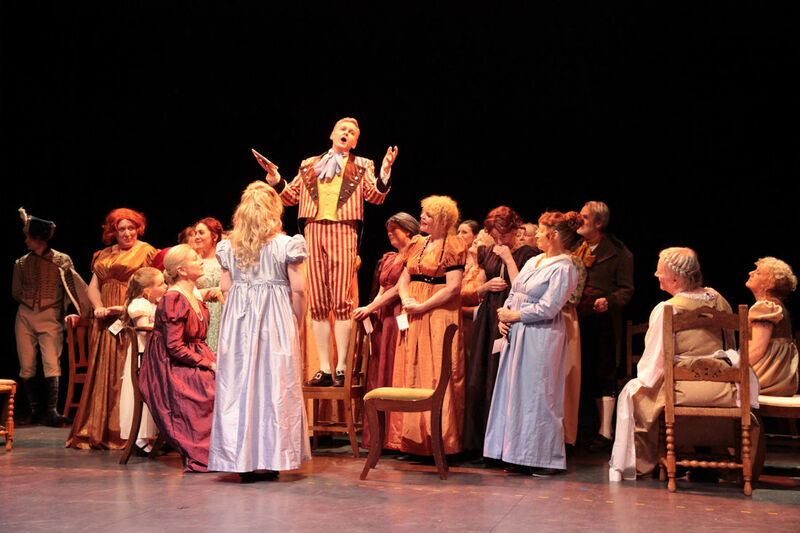 Jonathan’s rôles since then include Eisenstein, die Fledermaus, Cavaradossi Tosca, Squeak Billy Budd, and Spoletta Tosca, and most recently Monsieur Triquet in Eugene Onegin for Mid Wales Opera. ​René’s vocal training began as a treble in Canterbury Cathedral Choir and as a member of the National Youth Choir of Great Britain. He graduated from The University of Nottingham with a BA (Hons) in 2010, where he performed regularly with a number of choirs in the East Midlands and as a member the University Opera Society before starting a postgraduate in Vocal Performance at the Royal Academy of Music. He was awarded the Nora Carstairs Bland Award 2012/2013 and graduated with distinction in June 2013. 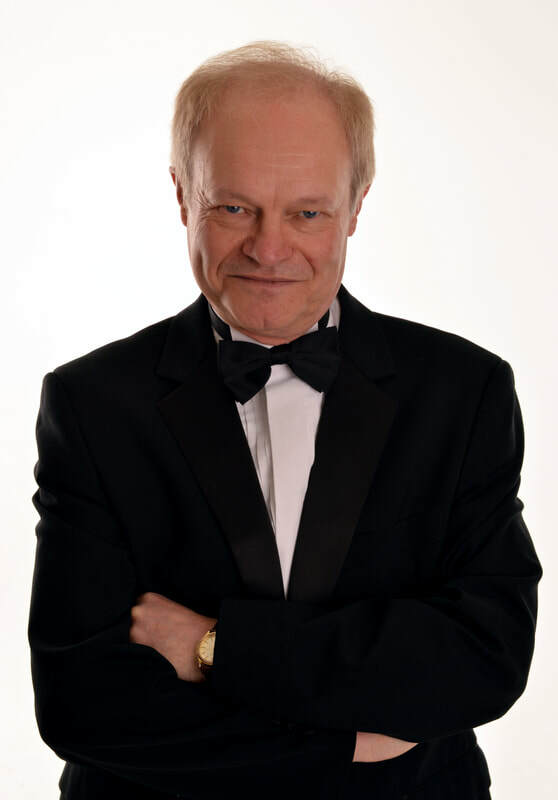 David is a professional opera singer from Sydney, Australia based in Bexhill on Sea and have sung Prince Gremins Aria for over 15 years and also performed and covered the role in Russian. David is a Graduate of Sydney Conservatorium of Music, and the Queensland Conservatorium of Music. 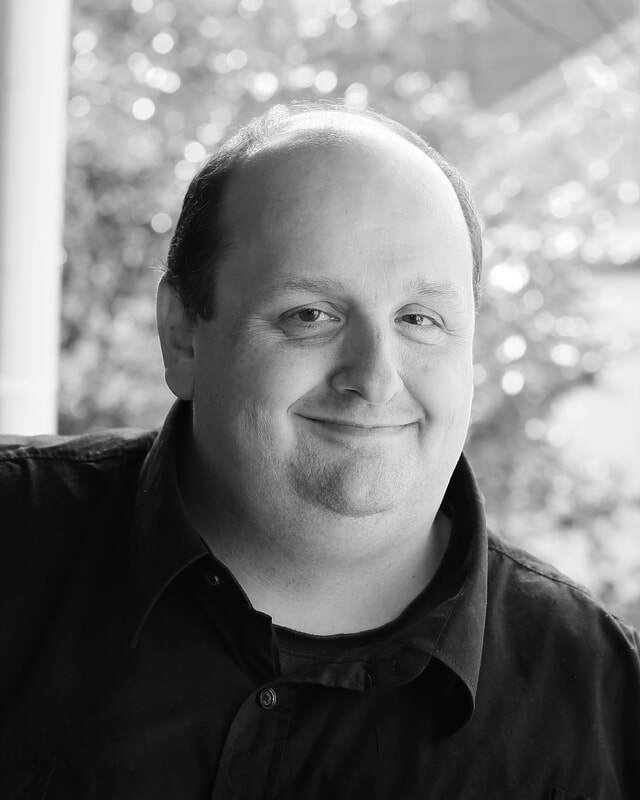 and made his debut as Don Alfonso in Così fan tutte with Opera Queensland, going on to sing in La Bohème, and Rigoletto before his UK debut in 2004 as Bartolo Le Nozze di Figaro and José Castro in La Fanciulla del West for Opera Holland Park, and was involved in several ENO Baylis education projects, including Pirates of Penzance and A Midsummer Night’s Dream with Gareth Malone. After many roles he returned to Opera Holland Park for the role of Benoit in La Boheme. Jeremy studied in Australia before winning a major scholarship to the Vienna Konservatorium in Austria and gaining UK operatic experience for English Touring Opera, Birmingham Opera Company, British Youth Opera, Carl Rosa and D'Oyly Carte Opera Companies, Early Opera Company, Grange Park Opera, Longborough Festival Opera, Iford Arts and Pimlico Opera. 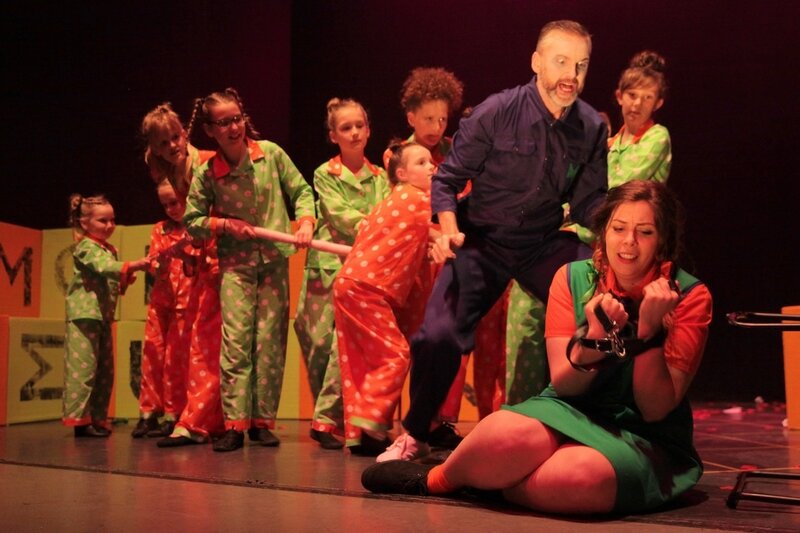 Jeremy also performed with OSE last year in The Magic Flute. He sang Orlofsky Fledermaus for Opera della Luna, and played his first Gilbert and Sullivan, with the Learned Judge Trial by Jury and Joseph Porter HMS Pinafore with Heritage Opera and Opera South East, and Major General Stanley Pirates of Penzance for Opera Anywhere. ​He made his operatic tenor debut as Mayor Upfold in Britten's Albert Herring with Surrey Opera, and sang Offenbach’s Orpheus and Goro Madam Butterfly with Opera South East; Goro with Lambeth Orchestra; Ringmaster The Bartered Bride with Kentish Opera; Gastone Traviata with New London Opera Players; and more recently Basilio and Curzio Le nozze di Figaro with Dulwich Opera Company, Tisiphone in Rameau’s Hippolyte et Aricie with Linden Baroque Opera, and Flute A Midsummer Night’s Dream with Surrey Opera. Since making his concert debut in July 2017, singing Schumann’s Dichterliebe, Jack has enjoyed a very active singing schedule performing throughout venues in South-East England and qualifying for the Coop competition in Milan. After repeat performances of his concert debut Jack has organised and sung a wide number of arias and duets concerts. 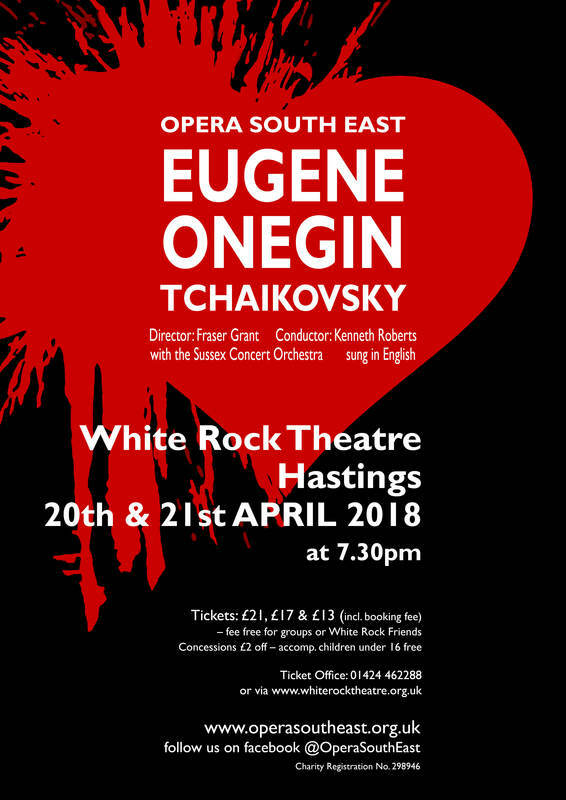 Jack is making his operatic debut with Opera South East in this production of Tchaikovsky’s Eugene Onegin, singing the role of Zaretsky, as part of the chorus and understudying the role of Onegin. In May 2018, Jack will be performing with Hampstead Garden Opera singing as Baron Douphol, in Verdi’s La Traviata at the Jacksons Lane Theatre, London. The White Rock Theatre Box Office is open now! Fraser studied French at Edinburgh University and trained as a director at Drama Studio London. After five years as artistic director of the Drayton Court Theatre Company, he went on to become head of Music Theatre at The London College of Music and Media as well as Head of Drama at the Junior College. He is now Head of Drama at Harvington Prep School in Ealing coupling this with a continuing career in professional Opera and Music Theatre directing. 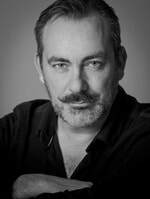 Fraser has Directed 19 prior operas for Opera South East (two of them double-bills), as well as many for Oyster Opera, LCMM, Unicorn Theatre, and has been Theatre Director for productions of many plays in the UK and Italy. Amongst his works he has won several awards for Best Production on the Edinburgh Fringe. He also works as a lyricist and translator, frequently collaborating with the cabaret duo Opera Tottie. ​​Fraser Grant, the Artistic Director, will be presenting a free pre-show talk before the Saturday evening’s performance. This will be given in the auditorium of the White Rock Theatre at 6pm, and is free of charge to all ticket holders from either night's performance. This has proved a popular event in recent years and will give you an insight into how and why this particular production is presented in the way it is! ​Sophia was born in Hastings and studied classical ballet at Bush Davies. At the age of 16, she was introduced to opera as Principal Dancer in Aida for the Brent Opera Society, Wimbledon. Sophia went on to work with various companies as a dancer, travelling to many countries as far afield as Japan and Dubai. One of Sophia's highlights was when she was asked to be the classical dancer in A Soldiers Tale with Richard Baker and Timothy Bannerman and later in William Walton’s Facade. 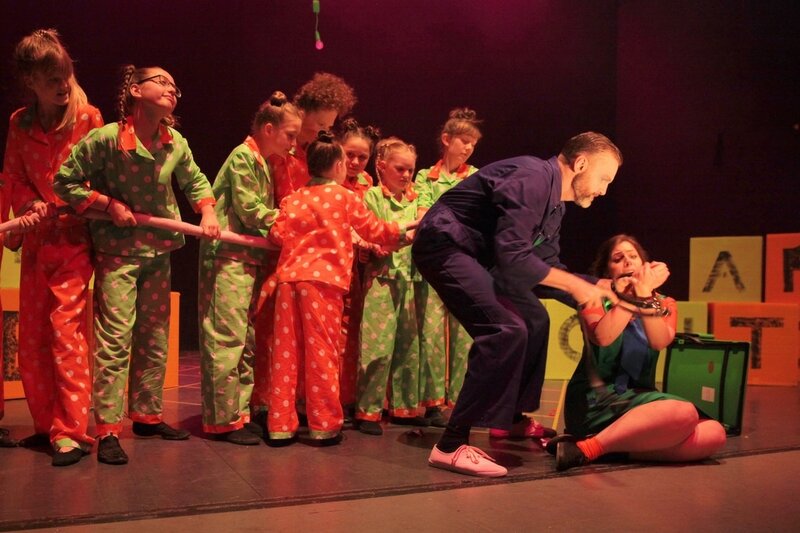 Sophia has worked with Opera South East on a previous occasion, choreographing Orpheus in the Underworld and Aida. She is delighted to be able to work again with Opera South East and Fraser Grant. Kenneth Roberts was born in Hastings and educated at York University where he gained BA and MA degrees in music. 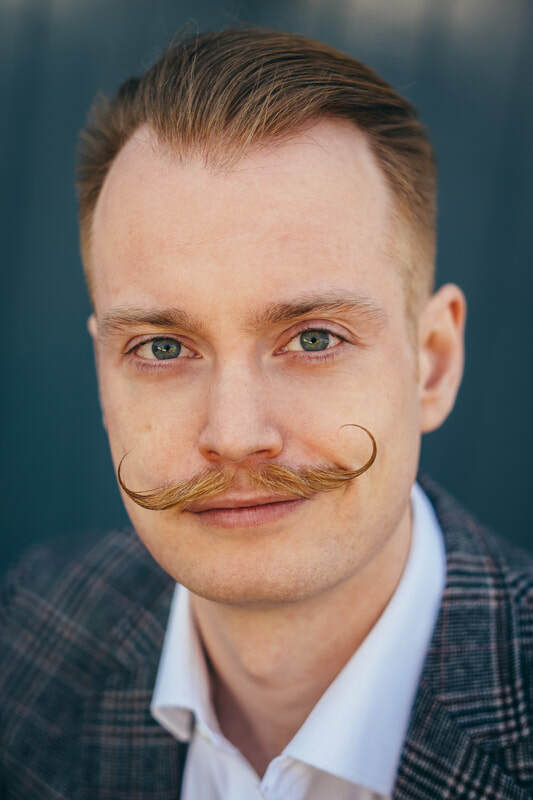 He works as Musical Director for numerous companies at home and abroad and has conducted over 250 opera, ballet and other theatrical productions. He has played and conducted at many prestigious venues including The Royal Albert Hall, The Festival Hall, The Britten Theatre, Kensington Palace and Hampton Court. His second opera, Mister Butterfly, which he wrote in 1994 was premiered in Hong Kong and subsequently performed at the Edinburgh Festival, and featured in a documentary shown by BBC television and BBC World Service Satellite. ​Between 2001-2011 he worked at the University of New Hampshire, USA, where he directed a new African Musical which he was commissioned to write and also composed music for an award-winning ‘international’ children’s piece. He was also musical director and conductor for Plymouth State University’s Educational Theatre Collaborative. In 2002 he fulfilled a commission from the Purcell School in association with the Vaughan-Williams Trust as part of their centenary celebrations to mark the birth of Sir William Walton and in 2005 he completed a commission to write a ballet based on the novel The Trumpet Major by Thomas Hardy. In 2010 he also contributed music for the recently published musical version of 'Pollyanna' and also became a BIFF (British and International Federation of Festivals) adjudicator. His highly acclaimed reduced orchestral arrangements of operatic scores by Mozart, Rossini, Verdi, Puccini and others are currently being played all over the world and are available from www.smallscores.com. In between times he has enjoyed giving his series of lecture recitals around the country at music clubs, and on cruise liners on subjects ranging from Mozart to ‘Jelly Roll’ Morton and has just released a CD of piano music entitled ‘Around the World in 80 Minutes’. The synopsis of an opera is always worth reading before an opera performance, so do buy a programme on the night and get there in time to read it. Scene 1: Russia, 19th century. Autumn in the country. On the Larin estate. Madame Larina reflects upon the days before she married, when she was courted by her husband but loved another. She is now a widow with two daughters: Tatiana and Olga. While Tatiana spends her time reading novels, with whose heroines she closely identifies, Olga is being courted by their neighbor, the poet Lenski. He arrives unexpectedly, bringing with him a new visitor, Eugene Onegin, with whom Tatiana falls in love. 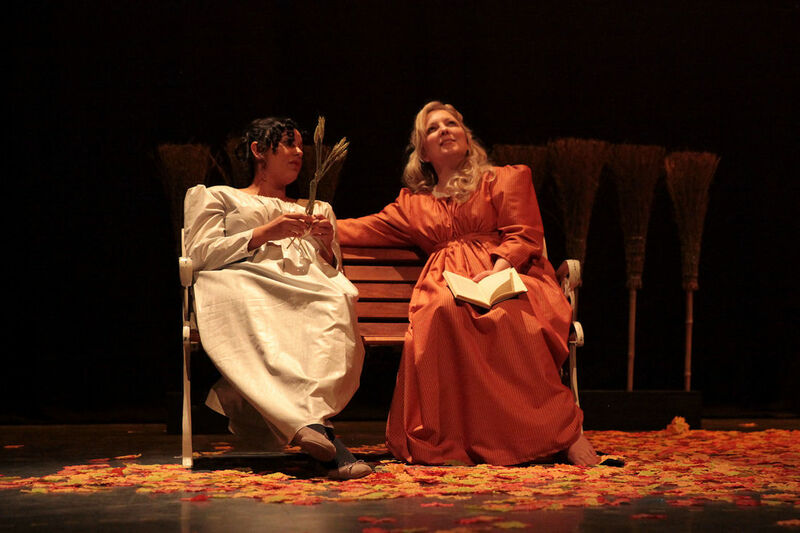 Tatiana asks her nurse Filippyevna to tell her of her first love and marriage. Tatiana stays up all night writing a passionate letter to Onegin and persuades Filippyevna to have her grandson deliver it in the morning. ​​Tatiana waits for Onegin’s response in the garden. He admits that he was touched by her declaration but explains that he cannot accept it and can only offer her friendship. He advises her to control her emotions, lest another man take advantage of her innocence. January. The local community has been invited to the Larin estate to celebrate Tatiana’s name day. Onegin has reluctantly agreed to accompany Lenski to what he mistakenly believes will be an intimate family celebration. 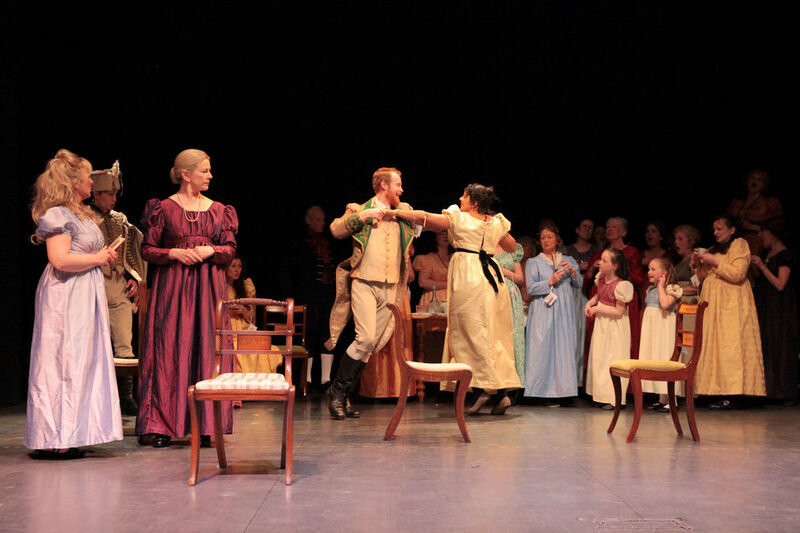 Annoyed to find himself trapped at an enormous party and bored by the occasion, Onegin takes his revenge on Lenski by flirting and dancing with Olga. 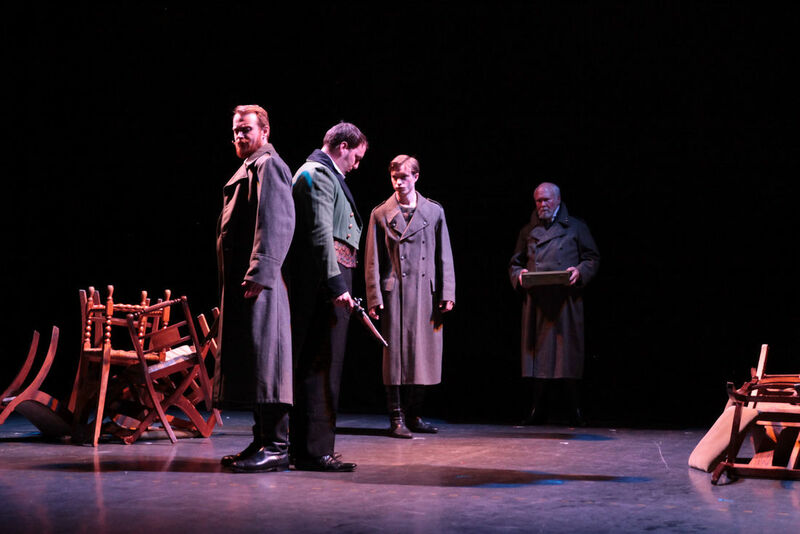 Lenski’s jealousy is aroused to such a height that he challenges Onegin to a duel. The party breaks up. Before the duel, Lenski meditates upon his poetry, upon his love for Olga, and upon death. Lenski’s second finds Onegin’s late arrival and his choice of a second insulting. Although both Lenski and Onegin are full of remorse, neither stops the duel. Lenski is killed. St. Petersburg. Having travelled abroad for several years since the duel, Onegin has returned to the capital. At a ball, Prince Gremin introduces his young wife. Onegin is astonished to recognize her as Tatiana and to realize that he is in love with her. ​Onegin meets with Tatiana outside the Gremin palace and begs her to run away with him. Tatiana admits that she still loves him, but that she has made her decision and will not leave her husband. Onegin is left desperate. By the spectre of days gone never to return. For them, no more enchantment. For me there is no greater opera which lays bare the human condition than Eugene Onegin. Its seven tableaux, divided into three acts chart its protagonists’ affairs of the heart of with incredible sensitivity and insight. Tchaikovsky’s score is filled with longing and regret, with hope and despair. I can recall no other rehearsal period where the observing chorus have watched on spellbound and moved. For everyone who has ever loved or been in love, lost in love, made mistakes in love-Tchaikovsky understands what you went through and offers you this masterpiece. For me, one of the core themes throughout the opera is communication-and indeed miscommunication. Tatiana writes an impassioned and eloquent letter to Onegin-yet face to face with him she is shy and awkward. As Lensky -a poet- prepares to face Onegin in a duel he writes the most beautiful farewell love letter to his fiancée Olga-yet in her presence he is moody and jealous. Neither he nor Onegin actually want to duel-yet neither can find the words to express this to each other, ensuring tragedy. It is only when Tatiana and Onegin confront each other in the magnificent final duet that they actually have the courage to express exactly how they feel- and yet, in true Russian form, it is all too late. Theatre Box Office Tickets here! Make a weekend of it in Hastings? There's lots of hotel choice in the area, e.g.